We offer the best taxi transfers price from Innsbruck Airport to Obergurgl! Austria or especially Tirol is known for its beautiful set of mountains and sporting possibilities. To guarantee you a long and relaxing stay in the area, we would like to offer you safe transfers from the Innsbruck Airport to your accommodation in Obergurgl. Of course we will also take you back from Obergurgl to surrounding airports (Innsbruck , Munich, Zurich) in the area at the end of your stay. Our company Innsbruck Airport Taxi and our chauffeurs have gathered long time experience. By using our online booking system you can of course choose the type of vehicle for your transfers. You don’t have to think about payment for your transfers right away. You can pay at the start of your transfers in cash or via credit card. 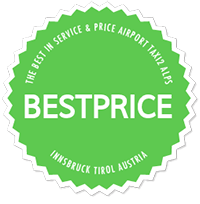 All costs for transfers at Innsbruck Airport Taxi are fixed – there will be no additional or hidden costs. Our company and all our chauffeurs have gathered long time experience in the field. We would like to offer you simple and safe transfers to your destination of choice. All clients can choose between a variation of cars for their transfers, including luxurious VIP like the Mercedes Benz Viano, S Class or E Class. Innsbruck Airport Taxi is a family-friendly company. To guarantee the safe transfers of your kids, we will provide you with baby seats without any additional charge. At Innsbruck Airport Taxi we guarantee the best price for your transfers. In case you can find cheaper transfers online we will of course bear the price disparity.